The real estate market closed out 2017 with over $1 billion in sales transfers, the strongest year ever. There have been only three other years (2014 was the most recent one) that exceeded $1 billion and 2017 was the highest one yet. The number of sales (total of 546) were up 2% and the dollars represented by those sales were up a whopping 10%. 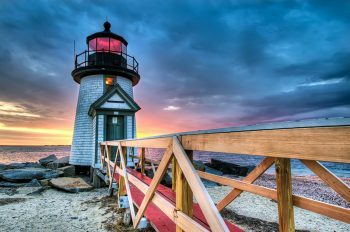 Nantucket is a special place and consumer confidence and the recent extraordinary performance of the stock market play a large role in what happens in the Nantucket real estate market. The average price of a Nantucket property is now $1,953,000; an increase of 7% over last year. The average price of a house is now $2,373,000 (+4%); the median home price is $1,600,000. The average price of a piece of vacant land is now $811,000; the median land price is $660,000. Click on link for full article.